The Twin Cities’ racial income gap between Whites and people of color has barely moved over the past 10 years – dropping only from 38 percent in 2006 to 37 percent in 2016, reports a new regional initiative. 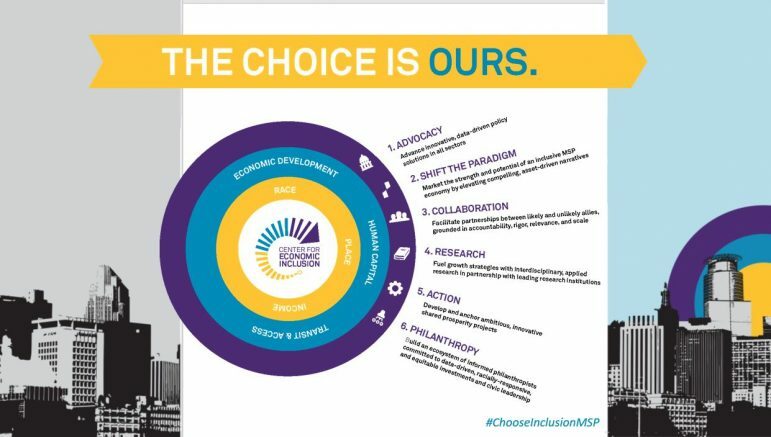 The Center for Economic Inclusion (CFEI) is looking to change that by creating a collective effort across public, private, nonprofit and community sectors. Aiming at closing the state’s racial and economic gaps, its founder says the new center will focus on three key areas to address those disparities: economic development, human capital and transportation. “We believe those three areas [are] completely interdependent,” Tawanna Black, CFEI founder, told the MSR during its launch at an Ignite Forum on May 11. The center, which began operations in January, is comprised of three existing organizations: the Northside Funders Group, Blue Line Coalition, and the East Side Funders Group. 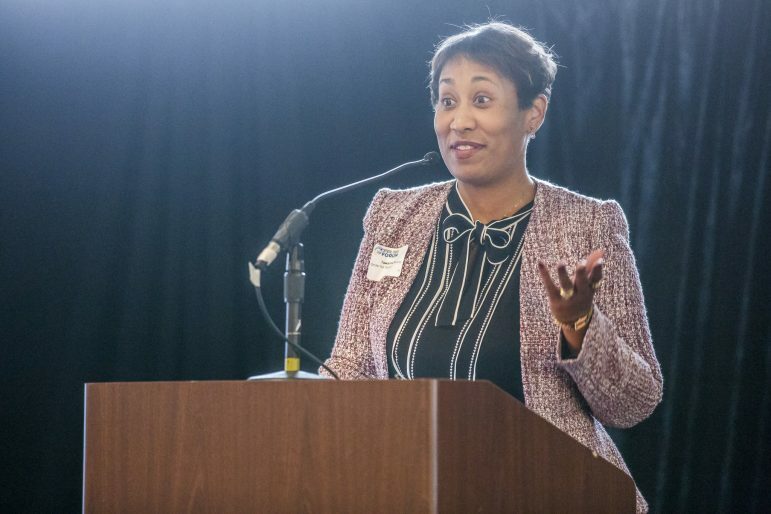 Black, who also serves as executive director of the Northside Funders Group, said the center would amplify the work she and others throughout the state have already been doing. She added that the center is data-driven, and will rely on metrics gathered across sectors and through community engagement. The center itself, however, is “not a grassroots organization. It is not ‘the doing’ organization,” explained Black. Instead, she said it would work to align organizations already doing the work to bring in businesses that can assist and provide accountability via metrics and transparency. “One of the things that has always been missing – not only in the Northside work, but in all communities of color – is the private sector,” she said. “We’ve got neighborhoods, we’ve got community, we’ve got public sector, we’ve got philanthropy, nonprofits, and we’re all sitting around begging, ‘Where’s the business and how do we get business and what would it take?’ This is that. If successful, the center would do more than just help close the gap, but also impact the overall economic profile of the state. In the Twin Cities alone, the percentage of people of color is expected to rise to 40 percent by 2040. True income parity could add upwards of $32.1 billion to the state’s economy. In addition to Black, the center’s leadership includes former HealthPartners CEO Mary Brainerd, who serves as board chair, along with Kristin Beckmann, former deputy mayor in St. Paul, as COO. The center aims to build a staff of 30 with an annual working budget of $6 million. “The center fills a crucial gap by establishing a dedicated, expert and collaborative partner for those of us committed to creating an economy that works for everyone,” said CFEI Board Chair Mary Brainerd, in a recent statement. English’s primary concern, however, is to ensure underserved communities get heard. “You have to target specific communities – like North Minneapolis, like East Side St. Paul, and like South Minneapolis, that somehow seem to be left out – maybe because of the change in demographics,” he said. For more information, visit the center’s website at www.centerforeconomicinclusion.org.